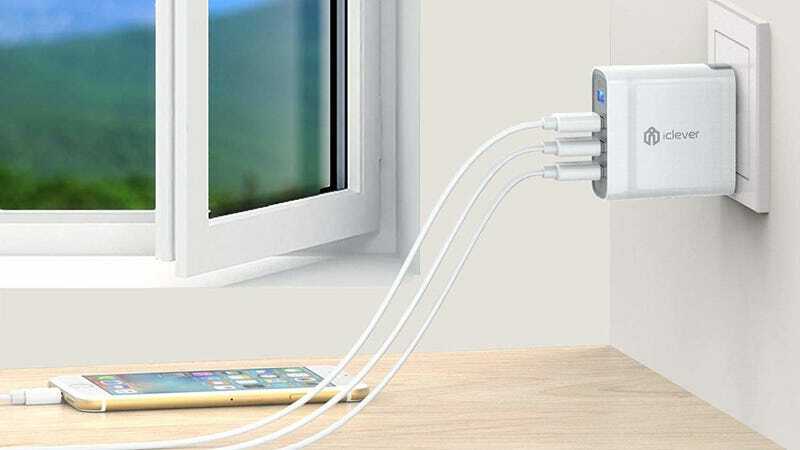 When you travel these days, one or two USB charging ports might not be enough. You’ve got to recharge your phone, your tablet, your smart watch, your headphones, your Fitbit, your portable battery. It can be a lot, and no, I don’t have a gadget problem, you have a problem! 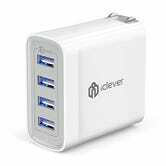 Luckily, this four-port, 40W charger from iClever is small enough to slip into any travel bag, and it’s only $16 today after you clip the 5% coupon and add promo code OYDN8UOL. One particularly nice touch? The USB ports emit a subtle blue light so you can easily find them in your hotel room at night.